Tankbustas live for the really big kill. 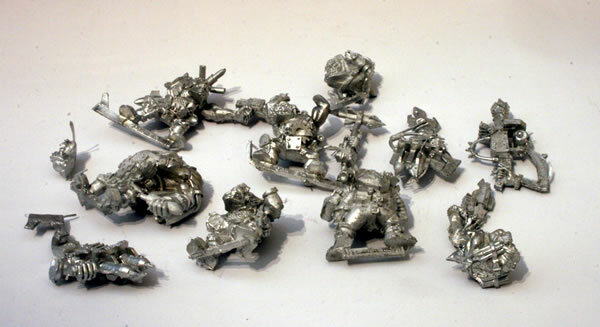 Ork Boyz who have experienced the undeniable thrill of scoring a direct hit upon an enemy tank and seeing the vehicle explode in flames. 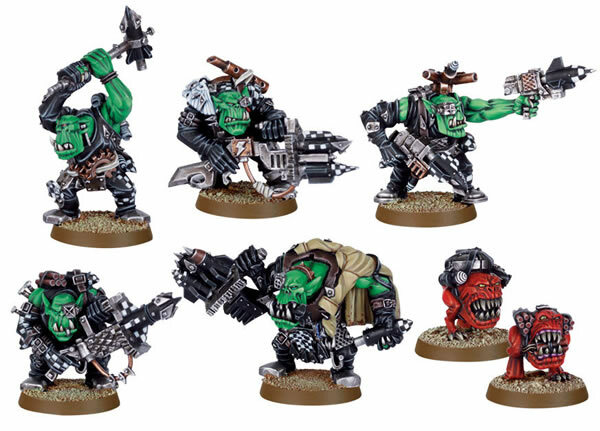 These are new metal models. This is how they can look. I will start off with a black undercoat and then do all the metallic bitz with a drybrush of tin bitz and chainmail. Skin tones are done in the same manner as my other Orks.